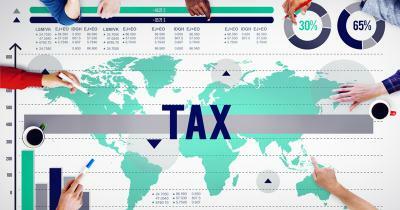 Corporate taxation in Canada is on the verge of changing. Business leaders are pushing hard for corporate tax cuts for many reasons per the Senate’s banking committee, who are urging the Trudeau government to take the necessary big steps on the issue of corporate taxation. The committee is pushing to introduce immediate corporate tax cuts to ease competitiveness concerns and generally revamping the entire tax system. The senators are pushing the federal Liberals to launch a royal commission on taxation in order to find ways to improve the systems efficiency, simplicity, and international competitiveness. They aim to complete a study regarding such issues to be completed in the coming three years. The committee members recommend that the government act quickly in order to entice more companies to invest in Canada — changes such as the slashing of the corporate tax rate and allowing tax accounting firm the full and immediate write-off of capital spending. According to the report, the committee sees that a royal commission on taxation may be long-lasting several years to complete, however, the situation in Canada is in need of urgent action. Such actions revolve around the Department of Finance Canada to consider a staged approach that would provide immediate relief for Canadian small businesses and provide a clear and comprehensive roadmap for further reform. Furthermore, the committee proposed other ideas in their report recommending the government help companies commercializing their intellectual property, focus on strengthening Canada’s trade ties to fast-growing economies such as the likes of China and India, and upgrade the country’s trade infrastructure — focusing of ports, roads, railways, and pipelines. Such recommendations come with federal Finance Minister Bill Morneau, who already is facing pressure from business leaders to address competitiveness issues in response to the United States’ tax overhaul that has put Canada at a competitive disadvantage. Morneau plans to announce his ideas to strengthen Canada’s competitiveness in his fall economic update. All in all, the Senate report puts in perspective the possibility of economic failure if the Canadian government does not implement the recommended changes, as such, “economic prosperity will suffer”. The report says “the committee recognizes that making major changes to Canada’s tax system will not be an easy thing to do,” and “ It will require much careful thought and input from all Canadians to determine the appropriate course of action”. Canada’s economic prosperity is hanging in the balance, it must be able to compete, cut corporate tax to entice business, and bolster trade ties with fast-growing economies like China and India.